In this new intermediate class, we will talk about how to make a good traditional mead. It’s harder than many people think to create an environment that will keep yeast happy. We’ll start with honey and how the different flavors of varietal honeys can impact the flavor of the mead. Participants will be tasting honeys, varietal traditional meads, and a yeast experiment to see how the decision of ingredients can impact the finished mead. We’ll also cover yeast nutrients to keep the little “yeasty beasties” happy! This is an intermediate class, so some experience with mead making process, equipment, and terms is required. All participants must be over 21! I want more info or to sign up! 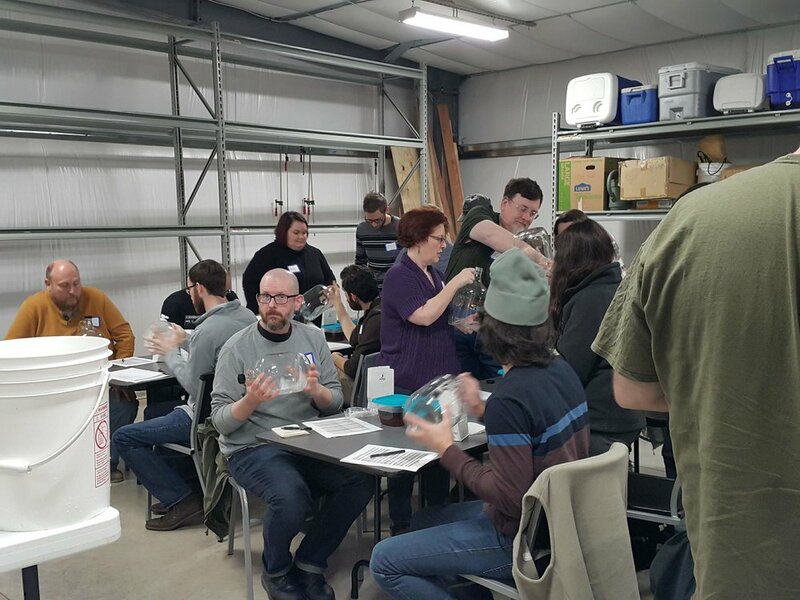 Beginning mead makers learning about sanitization!